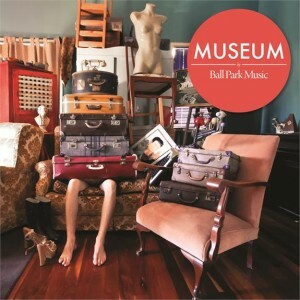 • Brisbane outfit Ball Park Music have announced the forthcoming release of their new album ‘Museum’. The LP, the band’s second, follows on from their debut ‘Happiness And Surrounding Suburbs’, which earned them critical acclaim and a place in the ARIA top 40. Lead single ‘Surrender’ is at digital retail now, with the album due on Friday October 05. • Thanks to auspOp reader Jade for the heads-up about Rage’s latest special program as part of their 25th birthday celebrations. The new special, which takes a look at the years 1991-1995 airs from 11:00pm tonight and features pop favourites from the likes of Kylie Minogue, Right Said Fred, Paula Abdul, The KLF, Michael Jackson, Salt ‘N’ Pepa, George Michael, En Vogue, Snap, Whitney Houston, Janet Jackson, Pet Shop Boys, Kim Wilde and more. • Melbourne songstress Kate Alexa has been announced as the official support act for Martika’s forthcoming Australian tour. Kate’s just-released album is entitled ‘Infatuation’. Featuring the latest single ‘I’m Falling’, it’s all very pop and we spoke to her about it recently as part of an interview (HERE). Martika’s tour kicks off at Sydney’s Metro Theatre on September 27. • Roadshow Entertainment will release a new Bob Marley documentary on DVD in late October. Simply entitled ‘Marley’, the doco has been produced by acclaimed documentary maker Kevin Macdonald, who’s previously worked with some of the best in Hollywood (including Russell Crowe and Dame Helen Mirren). In creating the documentary, Kevin simply said, “The attitude I had was to persuade them nothing good has really been made in terms of a documentary about Bob, and now was the time to do it before even more people pass away.” ‘Marley’ will be released on DVD in Australia on Wednesday October 24. • Lemonheads frontman Evan Dando and songstress Juliana Hatfield are touring Australia together in December. They’ll play The Zoo in Brisbane on the 16th, The Corner Hotel in Melbourne on the 18th, Sydney’s Metro Theatre on the 20th and The Rosemount Hotel in Perth on December 22. Tickets for all shows are on sale now. • It may have been belatedly released in Ol’ Blighty, but that hasn’t stopped Rita Ora’s single ‘How We Do (Party)’ from debuting atop the British singles chart this week. On the back of her performance of the track at the Closing Ceremony of the London 2012 Olympic Games, Emeli Sandé’s gorgeous ‘Read All About It Pt.III’ premieres in the No.3 position. Similarly, Elbow’s track ‘One Day Like This’ (also in the closing ceremony) rockets from No.125 to No.4 and Kate Bush’s iconic ‘Running Up That Hill’ premieres at No.6. Trey Songz’ ‘Simply Amazing’ and Porter Robinson’s ‘Language’ debut at Nos.8 and 9 respectively. • On the British albums chart, there’s seemingly no need for that coming repackage of Emeli Sandé’s album ‘Our Version Of Events’, with the album climbing back to No.1 this week. Paloma Faith, Ed Sheeran and Amy MacDonald also improve (ditto Elbow), while the week’s highest new entry is Ryan O’Shaughnessy’s eponymous set at No.9. • Over on the Billboard singles chart, Ms Taylor Swift has made quite the leap – up from No.72 last week to No.1 this week – to bag her first ever No.1 single on the mainstream singles chart. ‘We Are Never Ever Getting Back Together’ found favour at both radio and retail, selling more than 623,000 digital downloads in just one week. Her feat knocks the No.1-No.4 placings back one respectively, with Fun. climbing higher with their ‘Some Nights’ single (up from No.8 to No.6). Justin Bieber finds himself in a Maroon 5 sandwich, with the latter’s singles ‘Payphone’ and ‘One More Night’ at positions 7 and 9 respectively. • On the US albums chart, 2 Chainz premieres in the top spot with their album ‘Based On A T.R.U. 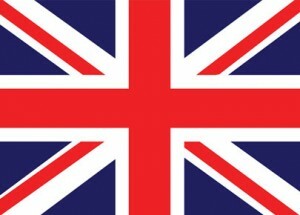 Story’, with Insane Clown Posse in at No.4 with ‘Mighty Death Pop’ and Yellowcard’s ‘Southern Air’ blowing in at No.10. • And for a local hit of chart action, don’t miss our regular weekly Chart Watch segment for all the goings on on this week’s ARIA charts. It’s live from 9am on the Eastern Seaboard tomorrow morning!